The Baby Club is Cbeebies' first programme for parents, as well as their children. It's mainly aimed at parents with children of 6-18 months. Our very own Helen Stroudley, along with colleagues from the Foundation Years Trust, were proud to be consultants on the series. 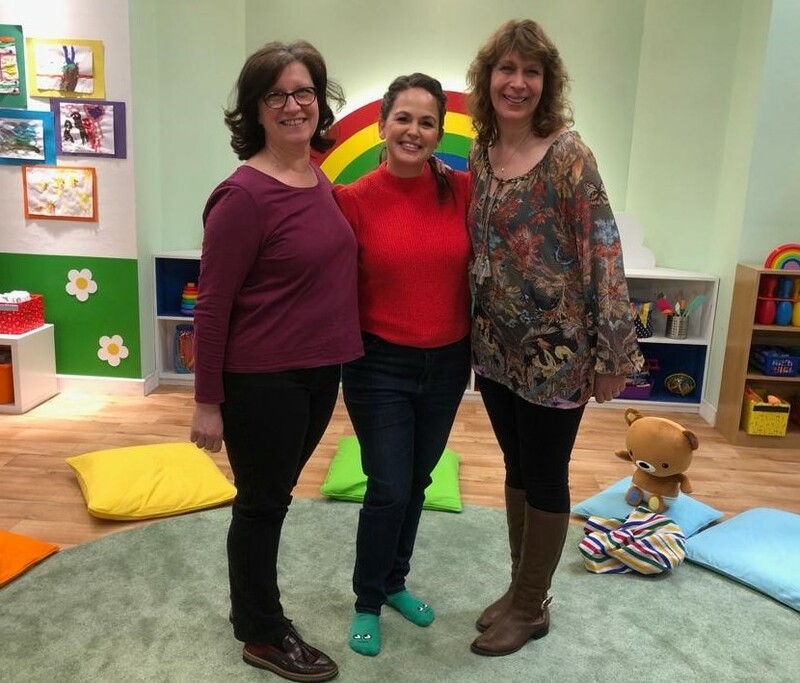 We loved working with the fantastic presenters Giovanna Fletcher and Nigel Clarke, the lovely babies and families and the fab Three Arrows Media team. We think you - and any babies you know - will enjoying watching The Baby Club as much as we enjoyed helping to make it. There are songs, stories and activities for parents and babies to join in with at home - lots of ideas for everyday learning and play, based on a household object. Check out our Facebook, Instagram and Twitter pages for some related ideas for things to do at home - for babies, toddlers and pre-schoolers. And hopefully you or parents you work with will be inspired to find a local parent or baby/ toddler group, like Peep, if you haven't already! 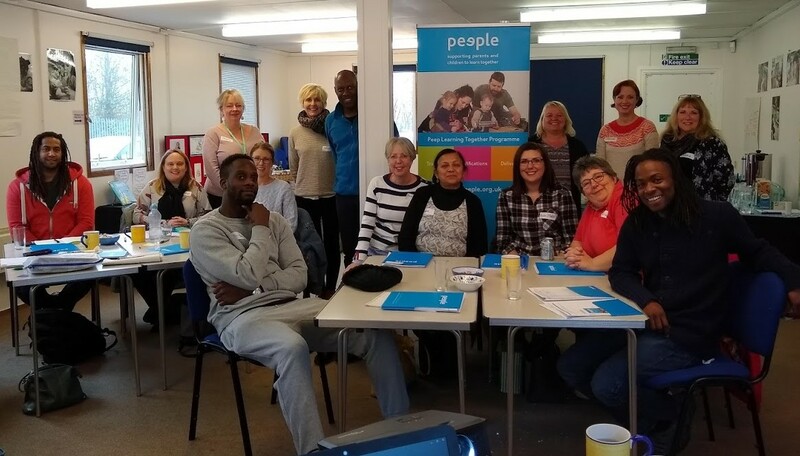 It was great fun sharing our Peep Learning Together training with Giovanna and Nigel - you can see Nigel with his fellow Peep practitioners on the course he attended here at the Peeple Centre in the autumn. He's also been writing his Nigel's Baby Club Diaries blog, which is well worth a look. The series of 20 weekday episodes started on 4th March 2019. Each episode is also available on BBC iPlayer for 30 days from when it was first broadcast, so not long to go if you haven't watched it yet!